Below is Vice President of Program Neal Cuthbert’s foreword from the McKnight-commissioned “North by Northwest: Rural Resilience in Northwest and North Central Minnesota,” an essay by Jay Walljasper exploring opportunities and challenges in Brainerd, Fegus Falls, and other communities in the northwest corner of Minnesota. And yet none of these popular narratives holds true. In fact, since 1970, the population of rural Minnesota has actually grown by 11 percent — a trend poised to continue as more baby boomers move into retirement. New amenities from broadband to brewpubs are attracting a steady “brain gain” of artists and entrepreneurs to Brainerd and Fergus Falls. Reimagined Main Streets and bike trails from Alexandria to Frazee have drawn national attention as simple quality-of-life improvements get a remarkable rate of return. 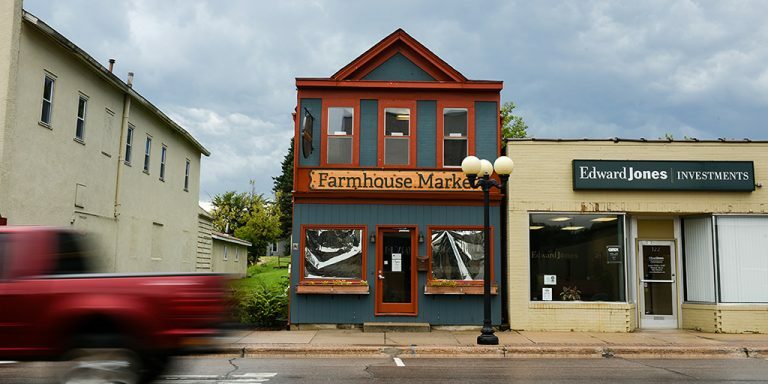 These are just a few of the small-town trends writer Jay Walljasper explores in “North by Northwest: Rural Resilience in Northwest and North Central Minnesota,” the latest installment in our Food for Thought series. Last year, The McKnight Foundation commissioned Walljasper, an authority on urban planning and community development, to take a listening tour of Lake Wobegon country, talking to residents, leaders, and lawmakers in the rural communities across northwest and north central Minnesota. It’s a message we’ve heard — and heeded — at The McKnight Foundation ever since Virginia McKnight Binger, then board chair, and Russ Ewald, then president, set out on a listening tour of their own in the 1980s, visiting rural communities hard hit by the farm crisis. The lessons learned from those meetings inspired the creation of the Minnesota Initiative Foundations (MIFs), six separate regional entities designed to reflect the values and vision of the communities to be served while making them more resilient. Now celebrating its 30th anniversary, “the MIF model” has enabled the Foundation to invest more than $285 million in the state’s rural areas, a continuing commitment that has helped leverage an additional $270 million to implement the big ideas brewing in small-town Minnesota. We hope this look at our state’s small towns offers an authentic snapshot and a fresh perspective of Minnesota’s northwest and north central region.